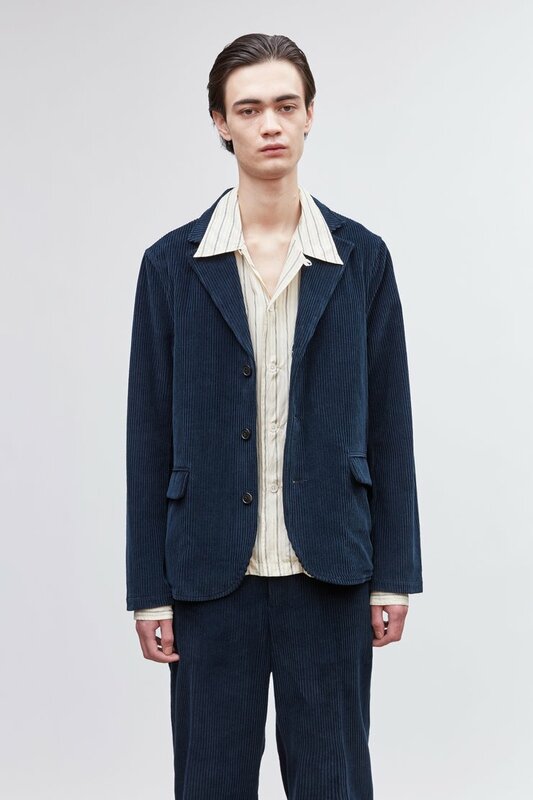 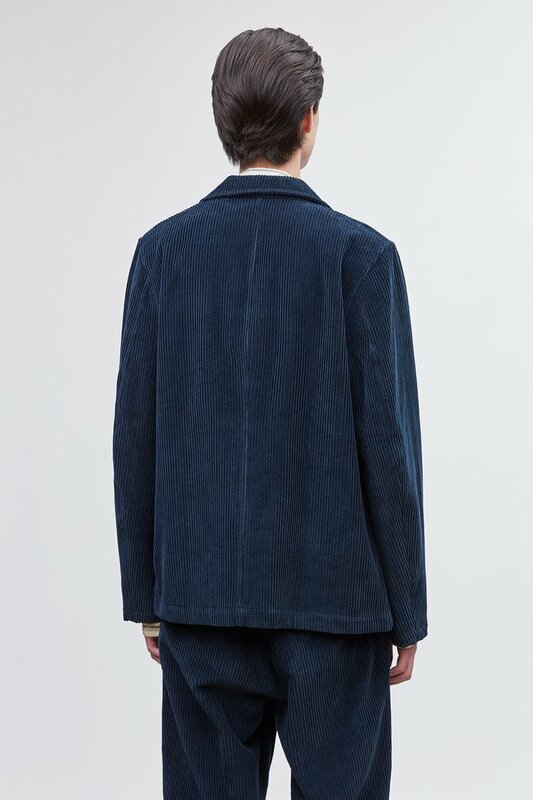 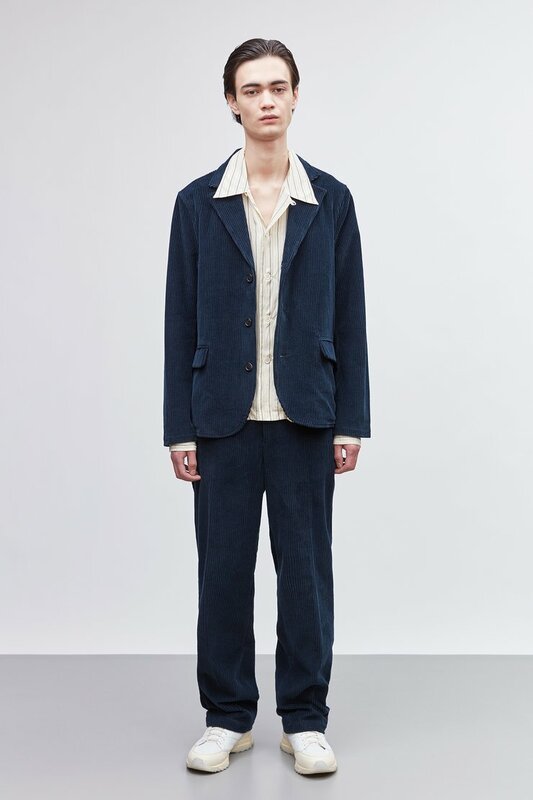 Our Archive Blazer in Glow Navy Corduroy. 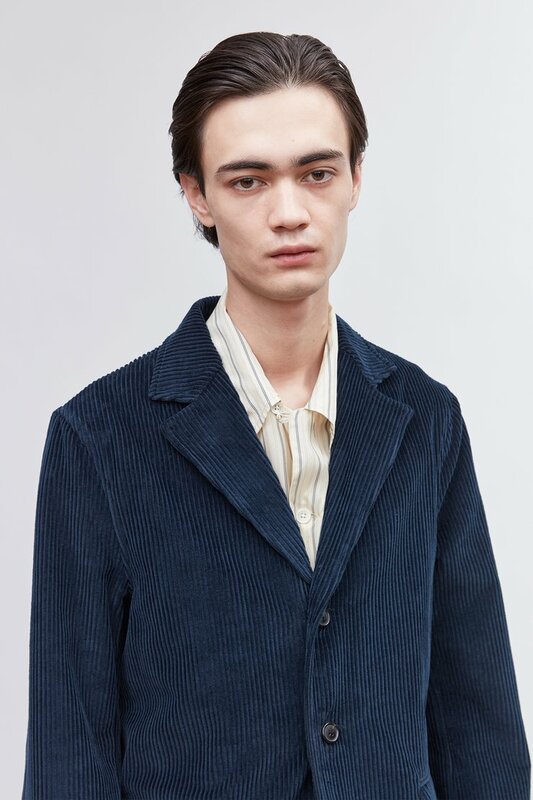 Produced in an Italian corduroy fabric, this unstructured casual jacket has two flapped welt pockets and notched lapels. 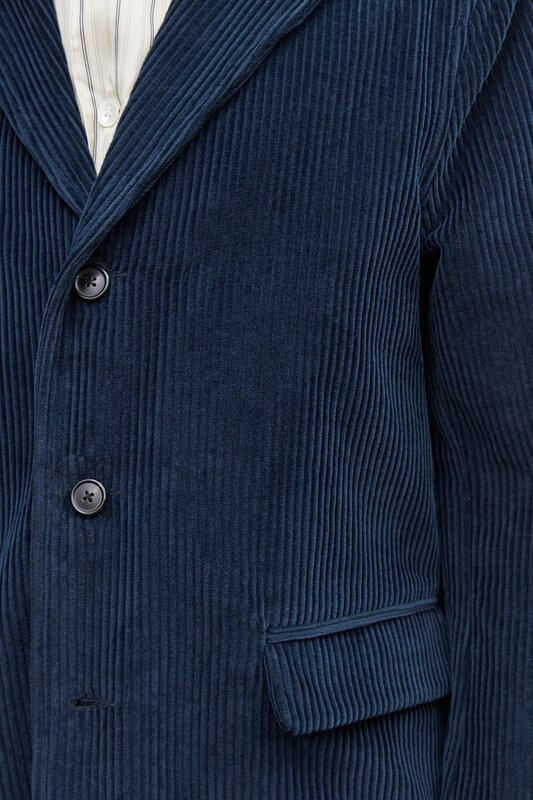 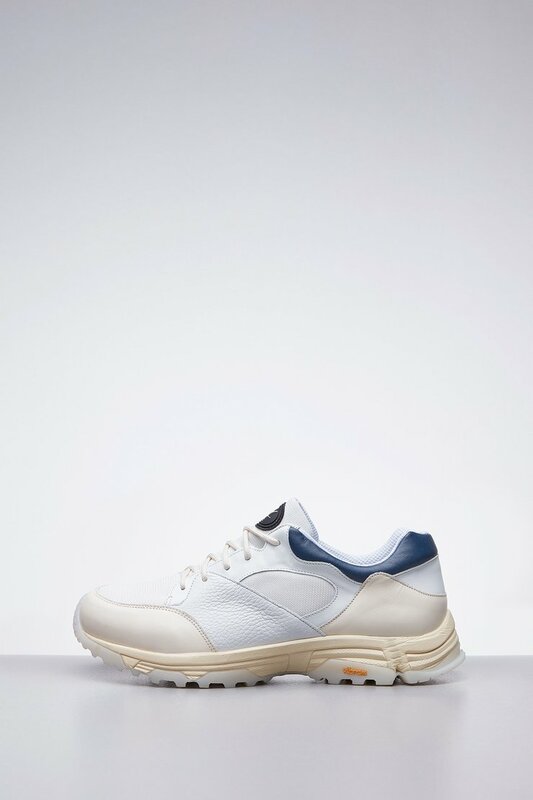 It can be worn as a separate or paired with the matching Chino 22 trousers as a suit. 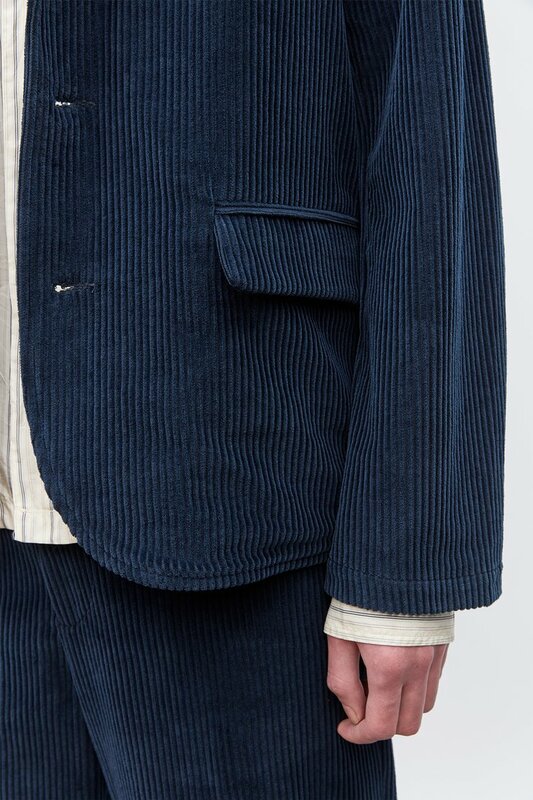 Our Archive Blazer is true to size with a slightly relaxed fit. 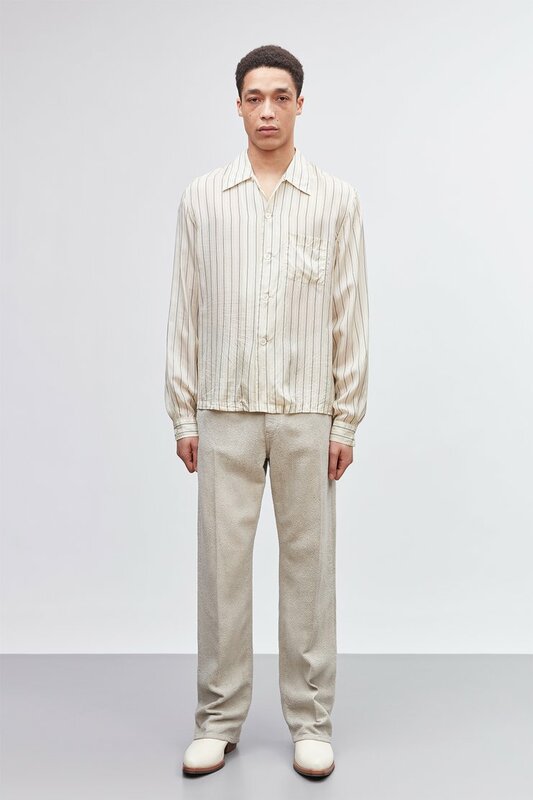 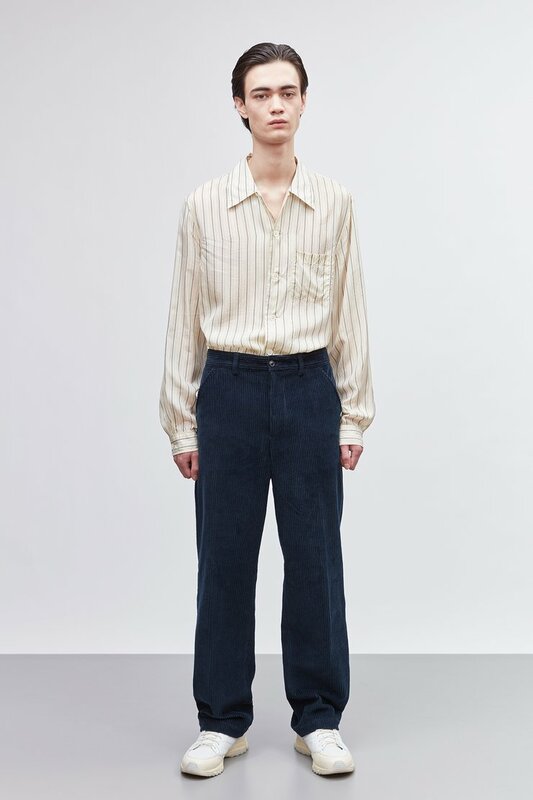 The model is 187cm tall and is wearing a size M/48.